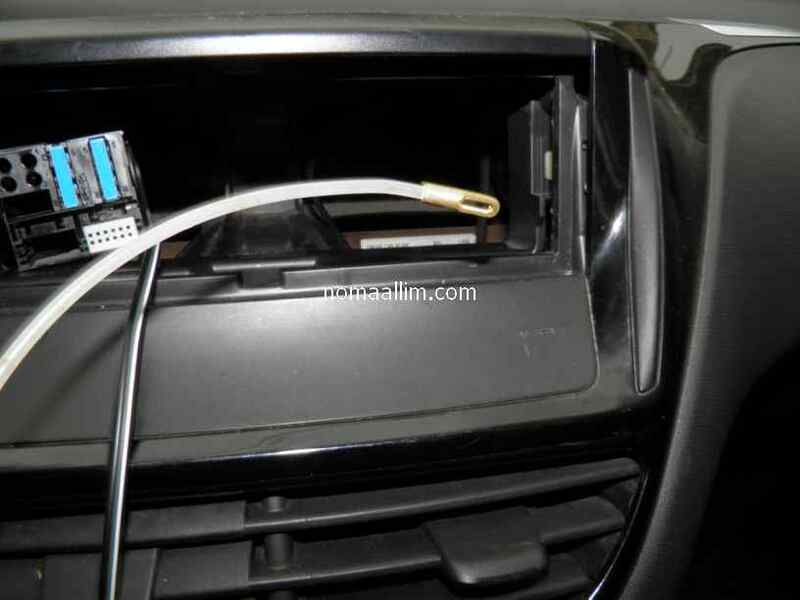 Running the speaker wires up to the dashboard. 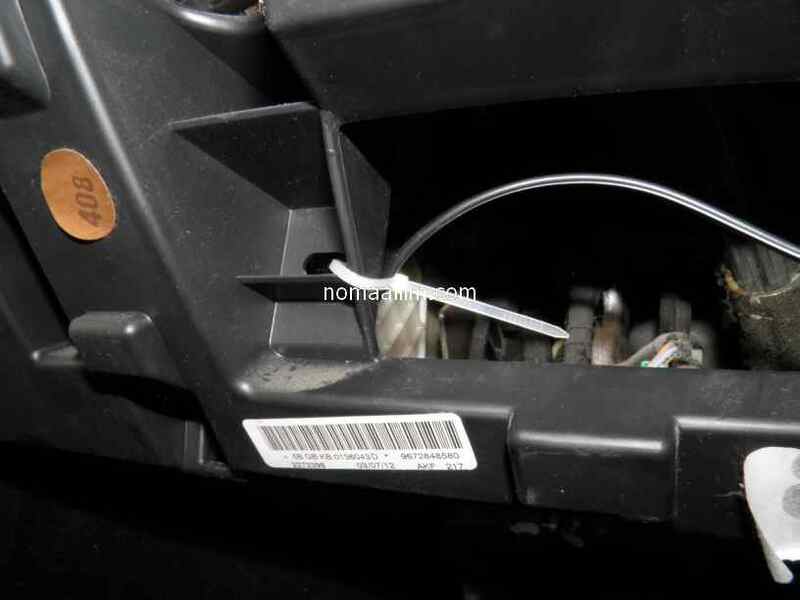 Take out the access panel found near and beneath the steering wheel. 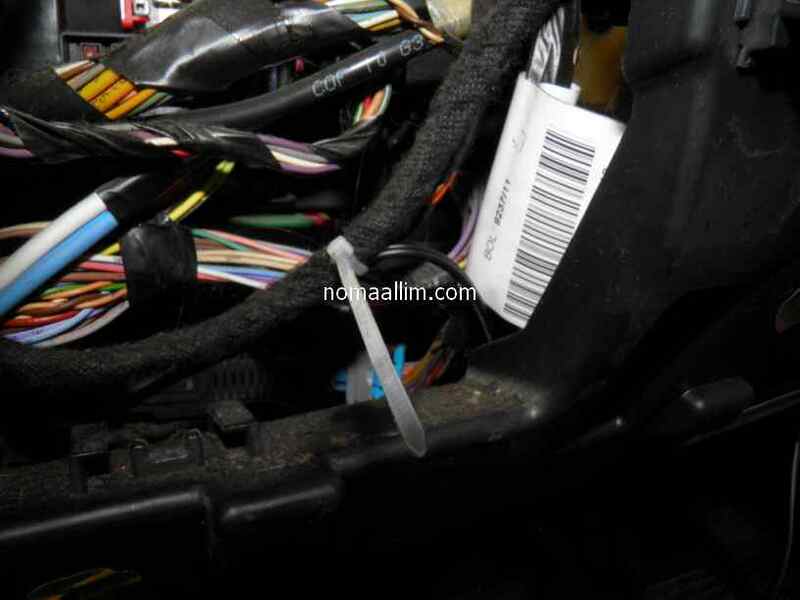 This uncovers the fuse box in most cars and a lot of wiring. 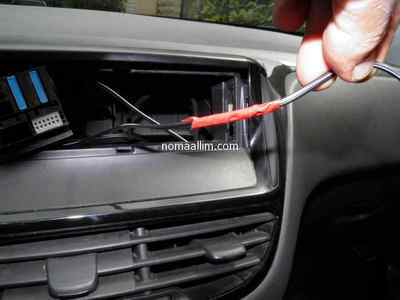 Insert a wire from the car stereo set opening down towards the space you just uncovered (left) and catch it with a screwdriver (middle). 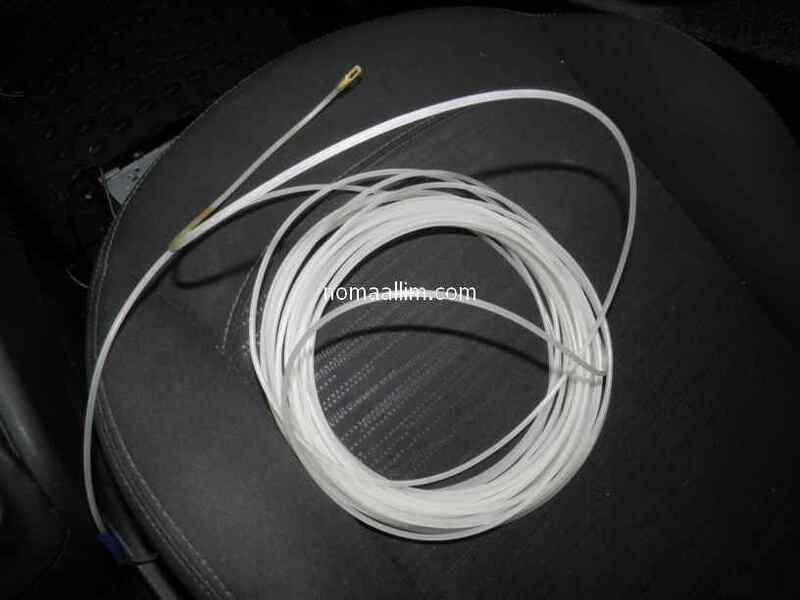 Introduce the speaker wire you had run through the door frames and route it next to a major wire harness. 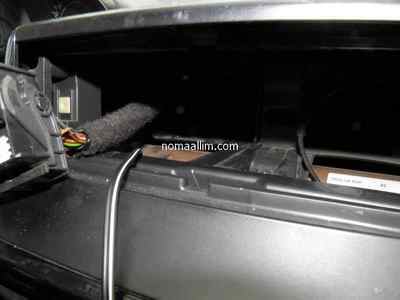 Attach both wires with tape and pull the speaker wire up to the car stereo set opening. 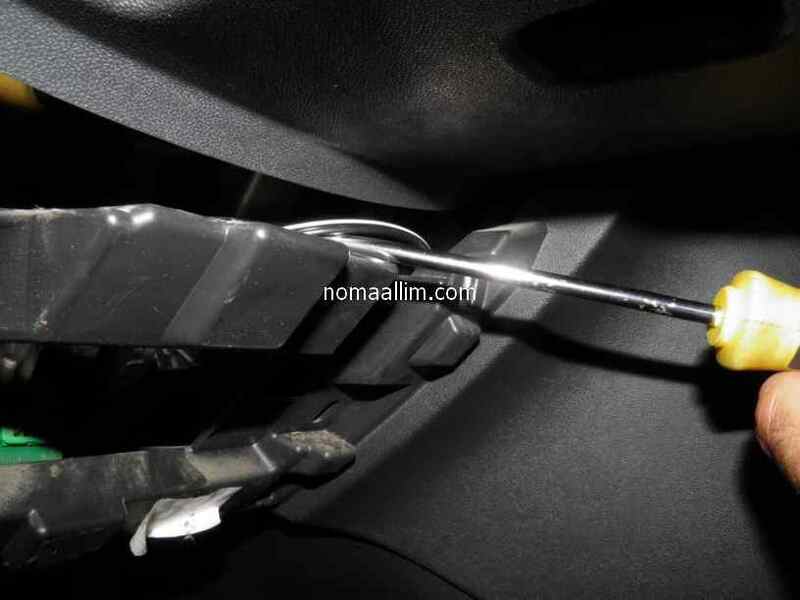 Fix well the speaker wire with cable ties to whatever you can in 2 to 3 fixing points at least. 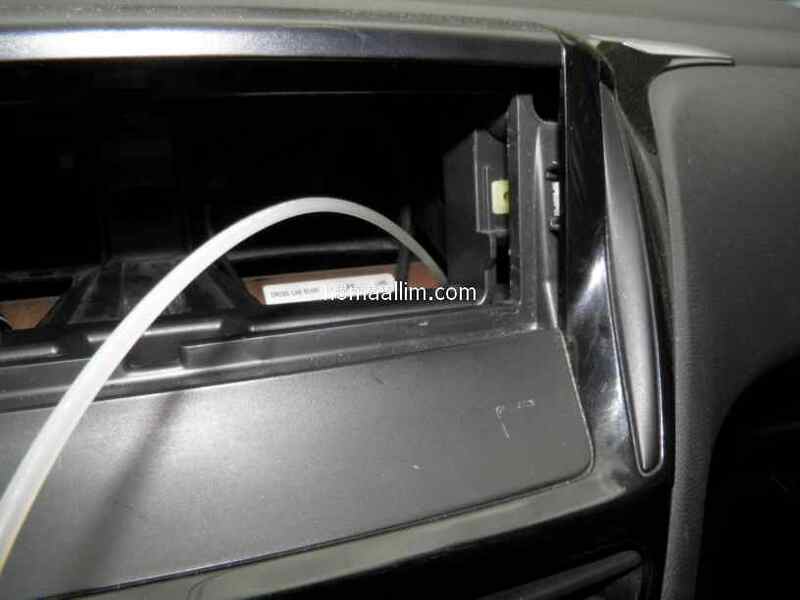 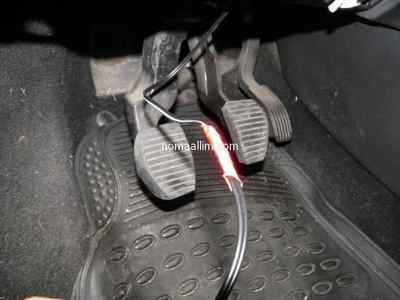 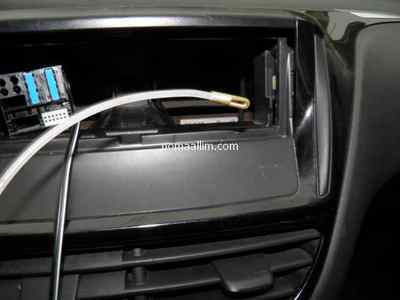 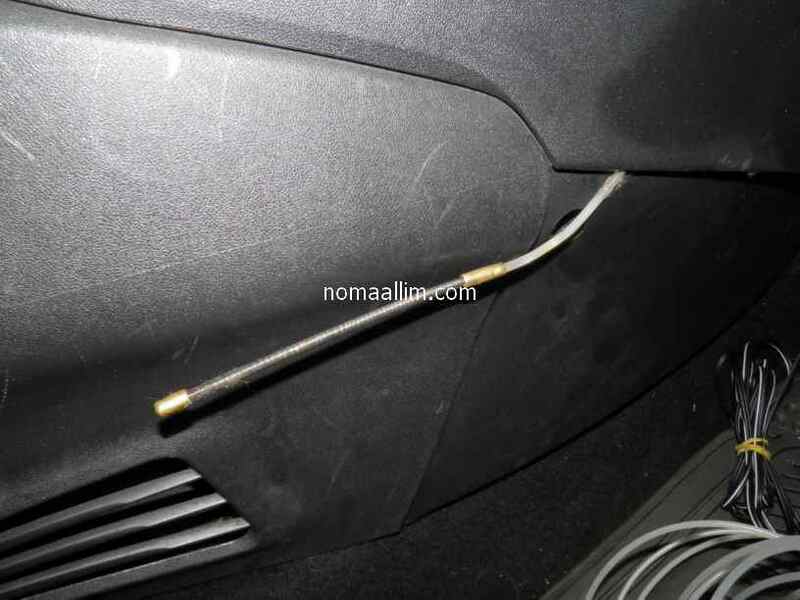 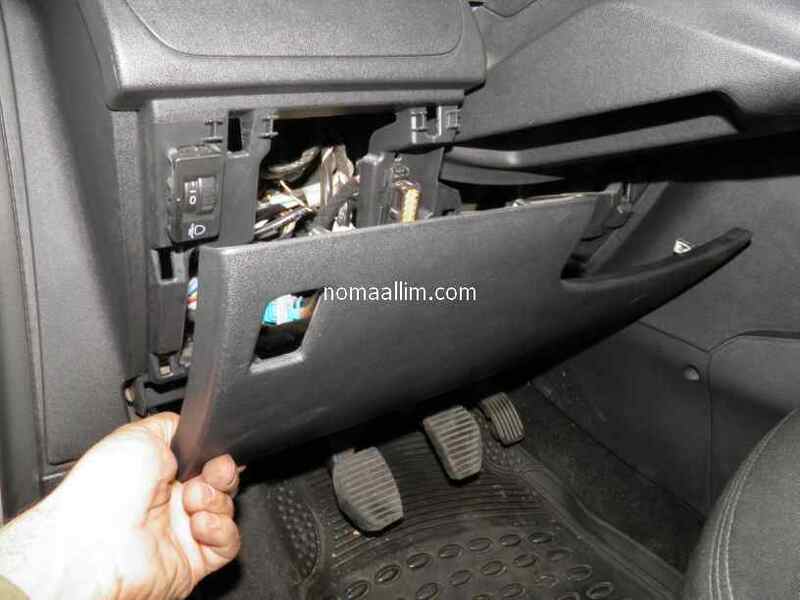 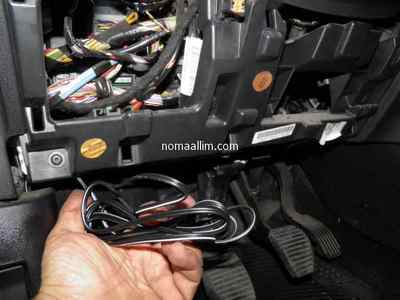 Use an electrical cable pull-wire (nylon pull-wire) which you introduce from the car stereo set opening down to underneath the dashboard near the cabin filter location. 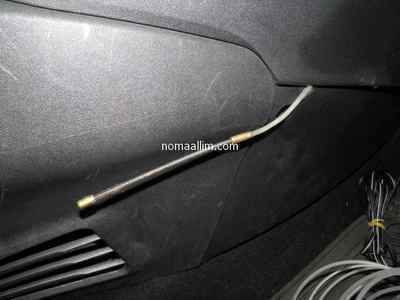 Attach it with tape to the speaker wire and pull the latter up to the car stereo set opening.